This weekend I had the thought to make a strap for my camera. I have some fabric that I could work with, but then I remembered that I had this gift card to Charming Charlie that expired on Jan 31. My hubs bought some Christmas gift cards for family members from that store, and because he spent a certain amount, they gave us a free $10 gift card. I’m not one to wear jewelry… it’s not that I don’t like it, I just always forget about it and it’s seems to me a tedious thing to keep up with, so buying jewelry is kind of just wasting money, as it will sit nicely in my jewelry box and rarely get used. I ventured in anyway, and lucky for me they also sell scarves! 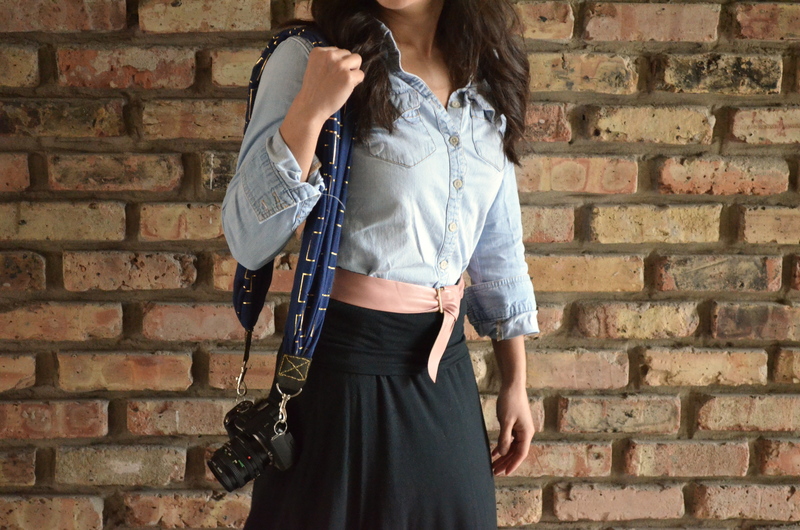 I then thought, “hmm… camera strap made out of a scarf.” Thanks, Charlie, for the free strap! Confession: I’m generally a rule follower in most areas of life, but every once in a while I like to do things on a whim. When it comes to patterns, I get frustrated pretty quickly with all the rules and measurements, so I kind of don’t follow them, and just try to figure out what I’m doing as I’m going. For all you anti-pattern friends of mine, here’s a little tutorial if you’d like to try it out yourself. 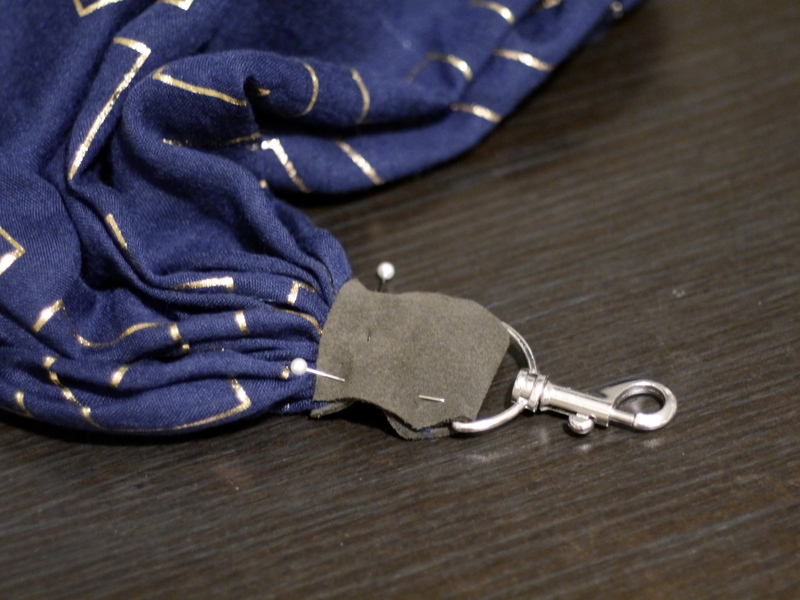 What you’ll need: scarf, heavy thread, scrap of leather, 2 swivel fasteners, thick leather needle, thimble, and if the hooks are too big for your camera, small keychain type loops to connect the fasteners to the camera. First start out by measuring the length of your scarf. I compared it to the strap that came with my camera, which ended up being about 42in. You can make it shorter or longer depending on the desired length of your strap. 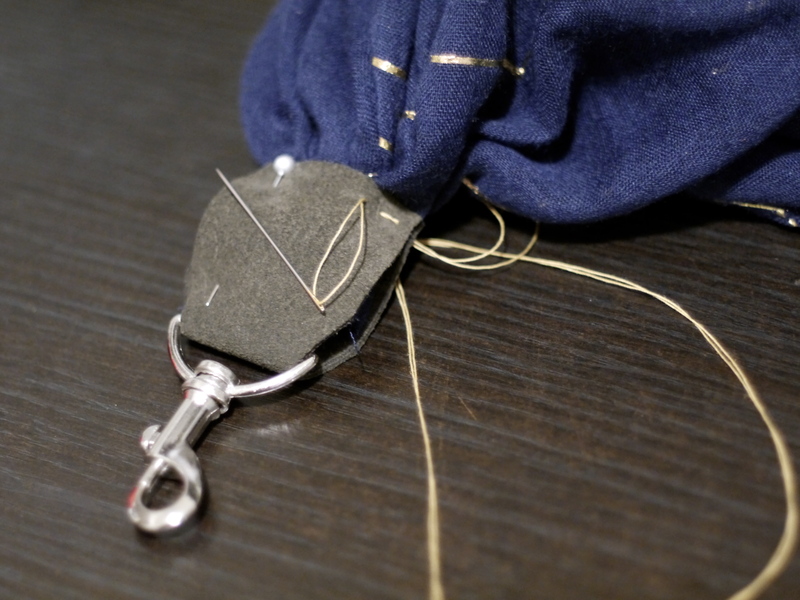 Next, measure the length of the inside of your swivel fastener (not the outside, or else the leather won’t fit right). 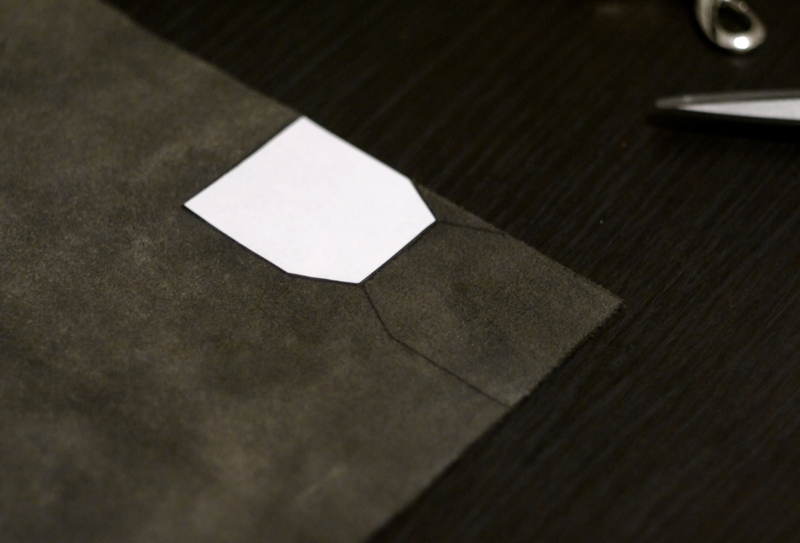 Draw the shape you want your leather to be, and trace it onto the leather twice, mirroring itself, with the small sides touching. 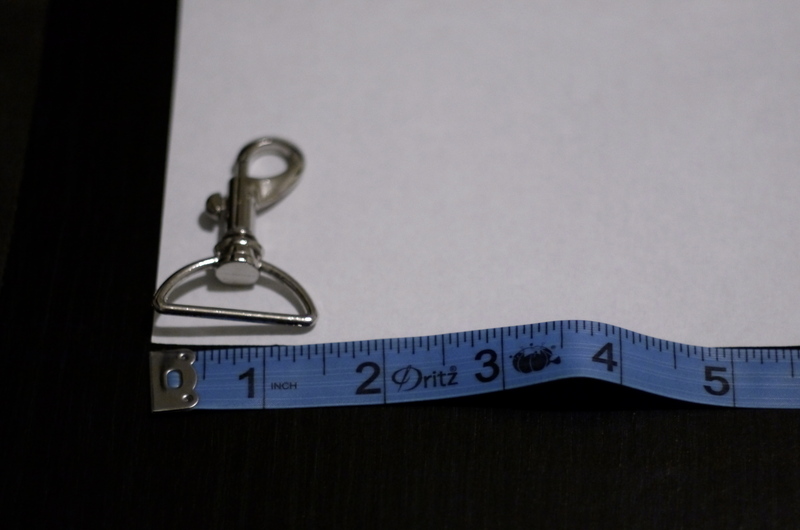 The small side will be the length of the inside of the fastener you just measured. Then, cut the leather pieces out. 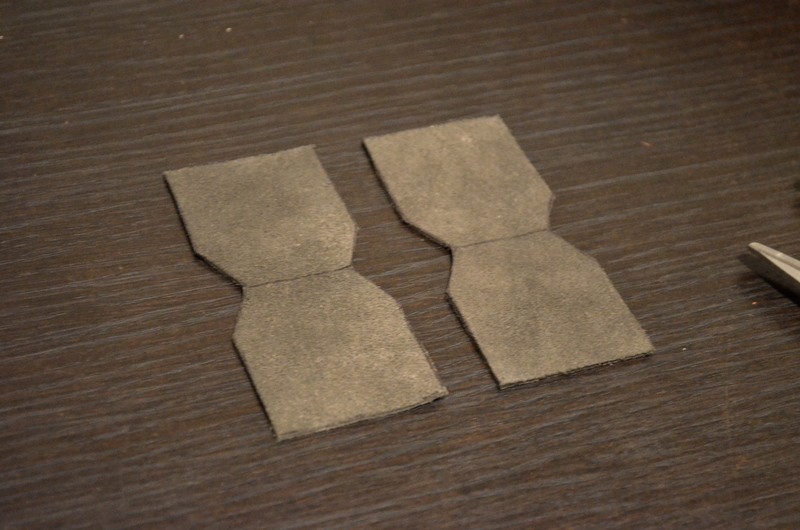 Note: I’m gonna be straight here… hand-sewing leather is one of the most unpredictably difficult things ever. I broke a thick, leather needle in half, people. Broke it in half. If you have a sewing machine that can handle leather, that is so much better. But if you don’t, I just want you to know going into this project that it will take a long while, and you might stab yourself a lot and have sore fingers by the end of it. I got through half of a Lord of the Rings movie before I was done. Yep. Next, insert the leather pieces through the fastener hoops and fold them in half. 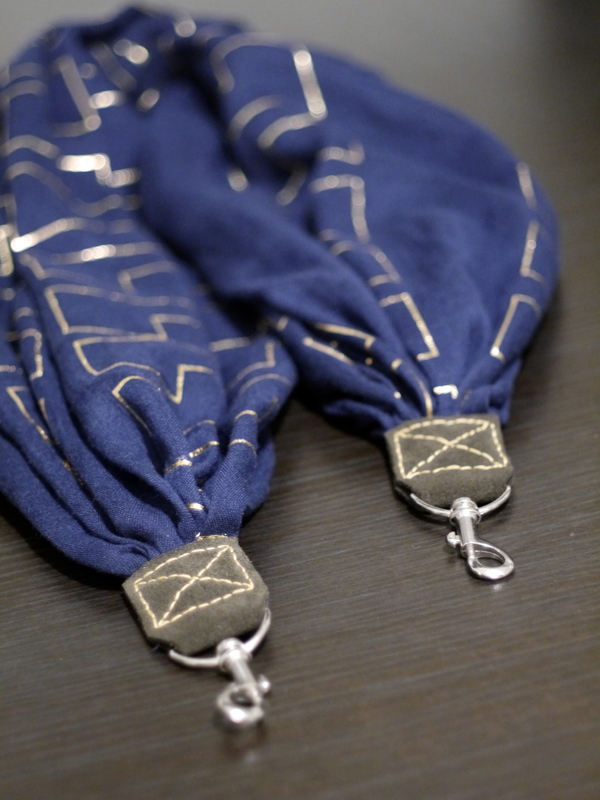 Bunch up the scarf ends, lay them in between the two sides of the leather, and pin in place. 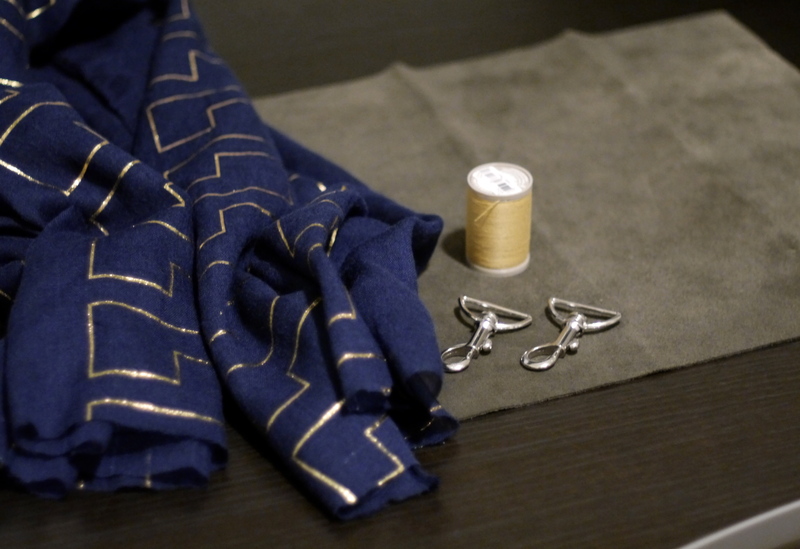 Sew around the edges first, forming a square, and then stitch and X shape in the middle for extra hold. And that’s it! 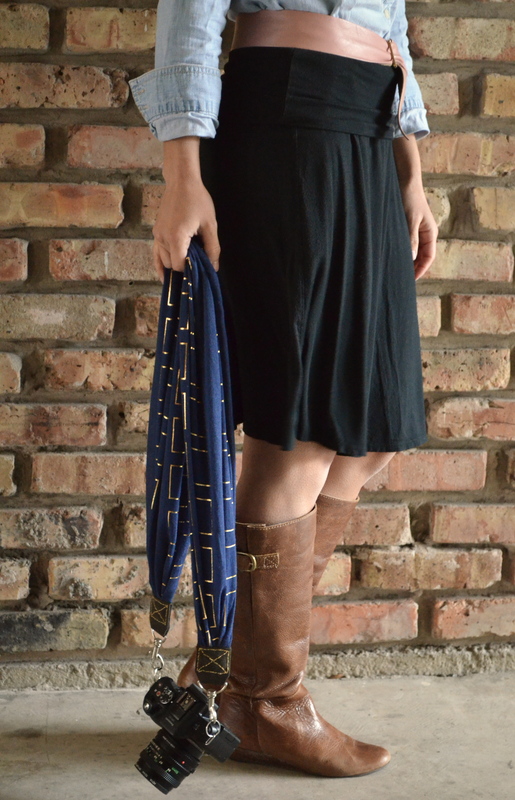 You’ve now got yourself a super cute, super easy (besides the leather madness), customized, handmade scarf strap! Don’t forget to share if you give it a try!